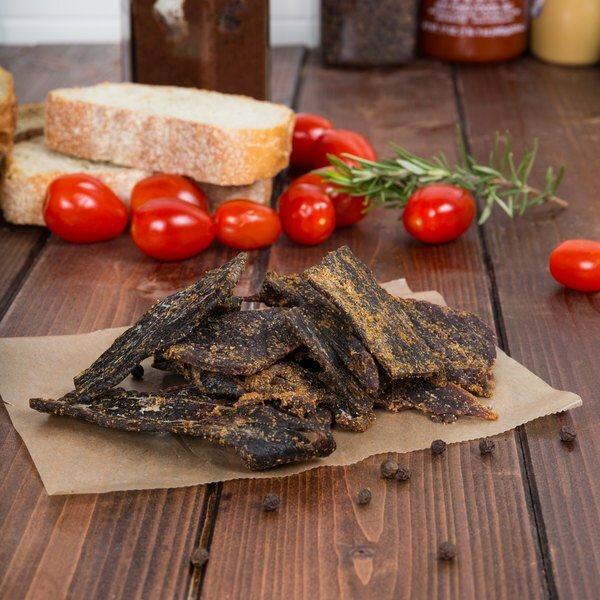 Add a seaside kick to your savory snacking with this Lancaster County Farms Chesapeake style beef jerky! This tender beef jerky is made with high-quality domestic beef, marinated in a bold blend of soy sauce, sugar, smoke flavor, and spices. Old Bay seasoning gives it its iconic Chesapeake flavor, while a meticulous drying process ensures the resulting product is soft, never chewy. 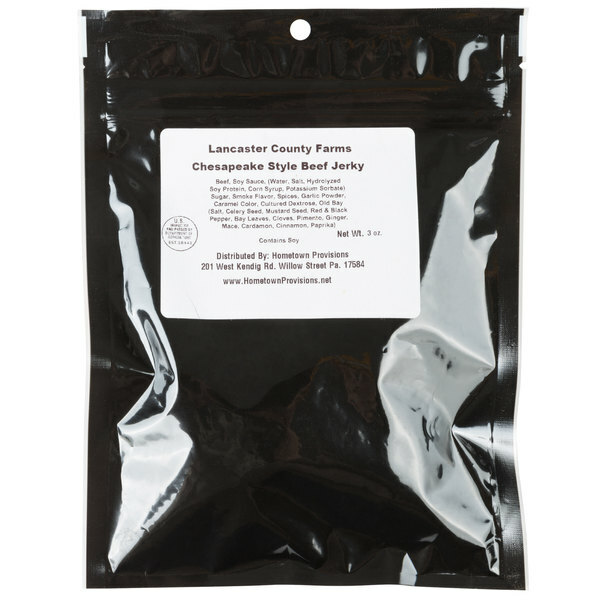 Overall User Rating: Lancaster County Farms Chesapeake Style Beef Jerky Strips - 3 oz. Just OK. The flavor of the jerky is ok, nothing to complain about. I would have preferred if it were a bit smokier, but that is subjective. The texture, however, is the issue. This product is very hard to chew, and much tougher than more familiar brands of jerky commonly available. While the price is good, I don't expect to be ordering it again.